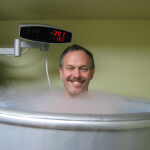 Free yourself from multiple sclerosis with Cryotherapy! Multiple sclerosis (MS) is an unpredictable, incurable, and debilitating disease that affects approximately 2.5 million people worldwide. The symptoms of MS drastically affect almost every aspect of life for sufferers, from the ability to move and sleep normally, to one’s mental state. 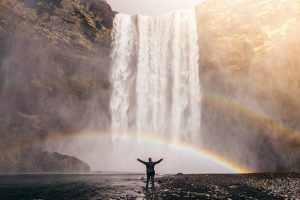 Natural MS treatment is available here in Bucks County PA, including whole body cryotherapy which has seen great success as a drug-free way to relieve the symptoms. Multiple sclerosis is a chronic autoimmune disease, where damage to the insulating covers of nerve cells in the brain and spinal cord disrupt the ability of parts of the nervous system to communicate. This results in a wide range of problems, including blurred vision, loss of balance, depression, poor coordination, slurred speech, tremors, numbness, fatigue, memory and concentration problems, and paralysis. These symptoms change in frequency and intensity. Often sufferers experiences ‘bouts’ of symptoms, which later disappear completely for a time. Whole body cryotherapy has been used in Europe for many years to treat a host of autoimmune diseases like multiple sclerosis. There is considerable published evidence now that the general well-being of MS sufferers can be improved by cryotherapy. Cryotherapy helps target and strengthen the immune system, restoring the body’s ability to properly respond to multiple sclerosis and, furthermore, gives many patients an immune system ‘restart,’ allowing the body to heal itself naturally. Cryotherapy has been endorsed in the media and become a critical part of many patients’ programs for MS treatment.